Billions of pounds will be bet by punters on the 2018 World Cup. 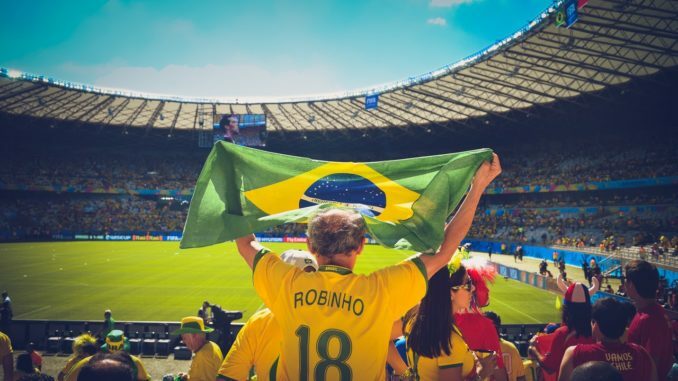 Therefore, if your one of those punters who’ll be having a World Cup flutter, it’s definitely a good idea to check out some of the fantastic concessions the bookies, betting exchanges, and spread betting firms are offering. Here are our top ten bookies to bet with at the 2018 World Cup. If you haven’t already got a Betfair account, this could be the time to sign up to Betfair. New members who sign up before the World Cup starts can have 100/1 about Betfair’s 4/1 favourites Brazil winning the World Cup. You can only have £1 on at those odds – but that means you’ll stand to win an extra £96. Alternatively, the 200/1 about England winning the 2018 World Cup might catch the eye of many patriotic Englishmen. Again, you can only have £1 on at those odds – but that’s still fantastic value considering England are actually just 16/1 with Betfair. If you’ve not already a member at Smarkets – this week could be the perfect time to become one. When you sign up, you’ll get a £10 risk free bet on a team of your choice to win the World Cup. You can then place £10 bets on each match your team plays, knowing you’ll get to keep your winnings as normal if they win or get your stake back as a free bet if they don’t win. Wouldn’t it be great if the exchanges were offering commission free bets on the World Cup? If you answered yes, we’re pleased to report that Matchbook are doing if you join before June 14. You’ll also be eligible for commission free bets on selected sports up until December. Meanwhile, Sporting Index looks to be the spread betting firm punters are most likely to score with at the World Cup. That’s because they’re offering new punters up to £50 in free bets to bet with. Meanwhile, if you think England may struggle to win the World Cup, the 50/1 with Ladbrokes about them reaching the knockout stages could be an even better bet. You only need England to finish first or second in Group G to land the bet, and new players can have £1 on at 50/1. Betting on which player will shoot his way to the Golden Boot at the 2018 World Cup is always an interesting market to get involved in. A great new player offer from Guts looks sure to make it even more interesting, too. Sign up before the World Cup and you can have £1 at 100/1 about any player to win the Golden Boot. You’ll also get a £5 free bet every time they score in the group stages. If you intend betting £25 or more on a top goal-scorer bet at the World Cup – SunBets looks to be the bookie to bet with. As a bonus, new and existing players get a £5 free bet every time their selection scores in normal time or extra time. Bet365 are also offering a great concession to punters who hate penalty shootouts. They’ll give your money back if your outright selection gets knocked out via penalties at any time during the World Cup. Having a straight £10 win on the team you think will win the 2018 World Cup with Skybet looks a no-brainer – as they’ll refund your first £10 bet as a free bet if your team gets knocked out at any stage. However, if the chance to win a share of £1,000,000 appeals – you might want to bet with Betvictor at this year’s World Cup. Place at least £1 on a bet that wins at the highest odds of any winning bet placed at Betvictor during the World Cup and the money could be yours.